Toon Goggles – Cartoons for Kids by Digital Media Interactive LLC is an online channel for kids, where they can watch safe – parent friendly cartoons. The app is free and it has a lot of cartoons that go with it, so I recommend you can give it a try and see if you and your child like it. You can also make an account and for a $4.99 a month you can get the premium service and access all the cartoons in the Toon Goggles library. 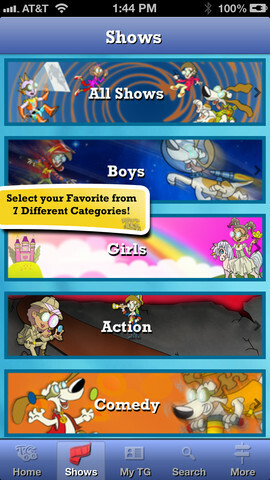 A great feature of Toon Goggles is that the child can choose their own cartoons to watch according to their interests and you don’t have to supervise your child constantly because all the cartoons in this app are viewed, reviewed, watched and approved before they are posted, so to be sure they are absolutely child appropriate. A fun feature for the kids is that they can create their own “facepage”, where they can add cartoons, share them with friends and make recommendations. Kids will enjoy this cool option. This app is great for small children too, it has been rated 4+, but be sure to read and review the site if your child is under 13 years old and wishes to create their own “facepage”. The website is COPPA compliant (Children Online Privacy Protection Act) and you can be sure everything is ok for children to watch and read. My kids loved the app and watching the cartoons. I liked that it has Educational Cartoons and the children can learn while having fun and have the liberty to be in control and pick what they watch. With the Toon Goggles video streaming application, children can watch unique, kid-safe cartoons from around the world when and where they want. Toon Goggles, a children’s entertainment online channel, offers an unlimited amount of parent-friendly cartoons that will entertain kids for hours on end! Shows are sorted by genre and vary in length from fun shorts to engaging episodes and full-length features. Toon Goggles is a completely safe and protected service for children of all ages to view cartoons that have never been available to them! All Toon Goggles free users are able to watch up to 3 episodes of EVERY show, and any child can create a free account!! Upgrade to a “Premium Membership” and start your one-month free trial today!! Enjoy unlimited access to the vast online library for $4.99 per month. 7 different categories including Boys, Girls, Action, Comedy, Preschool, Educational, and our special category “Boom Goggles,” inspired cartoons created by children. Children are sure to find what they like! New content is added every Tuesday as part of our “New Toon Tuesday” promotion, including full series and features! All content is parent-friendly and reviewed extensively before being released. Store your favorite cartoon episodes into the app’s “Toon Box” for on-the-go viewing! Jump! to a suggested show at the touch of a button! Quickly get to previous and next episode in a series! Check out what’s popular, discover what’s new, and browse A-Z! Registered users can resume videos and see Recently Watched shows! 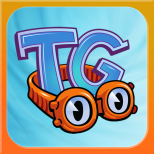 Create your own Toon Goggles account through the app! Stream HQ video via 3G or Wi-Fi! Watch Toon Goggles on your Apple TV with Airplay! Optimized for both iPhone/iPod Touch and iPad!